Funeral Expenses Burden! « www.majidall.com – Being who you are and saying what you really feel! About Oman, Between Us Only! Column, Complex and Difficult Topics, Deep Self Analysis and Conscience Topics, Good Article, Opinion, The Nation, Weekly Observer Article • Tags: Between Us Only!, Deputy Grand Mufti, Dr. Kahlan bin Nabhan Al Kharousi, Funeral Expenses Burden!, Majid Al Suleimany, Oman, The Oman Daily Observer, UnIslamic Funeral Gatherings! What we tend to forget is the poor deceased immediate family members now divided attention to get money for funeral expenses – rather than just mourning for their deceased ones! Even family that have suffered from road accidents are not spared – despite the great traumatic and painful times in their lives now! People arrive at these funeral gatherings in their best formal attire – both men and women! It seems it is a time for a ‘show off’ of the latest fashions and in-thing in town – rather than a funeral gathering! It looks more like a formal party going on – rather than a funeral gathering! The latest talk in town, rumours and gossips take essence in the gatherings – and including back biting – even the died person too is not spared! The other day my sister was calling me to say that our relative rank wise grandmother had died in our home village in Hayll Al Ghaaf in Quriyat. She had died in Daghmar hospital after a long illness. She was the lady who inadvertently had looked after our late father as a boy when his mother had died – our paternal grandmother – peace be upon all of them! 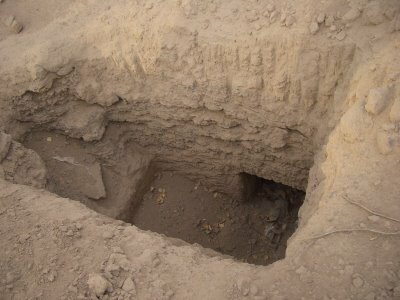 The time was nearing noon – and we knew that by the time we collected ourselves – we will be already late for the funeral – taking into consideration the quick and rapid funeral arrangements in the society and waiting for no one for the dead body to be so hurriedly buried! Then my good sister suggested we offer our condolences early tomorrow morning – and that would be better – and for the reasons that will be crystal clear as you read on! 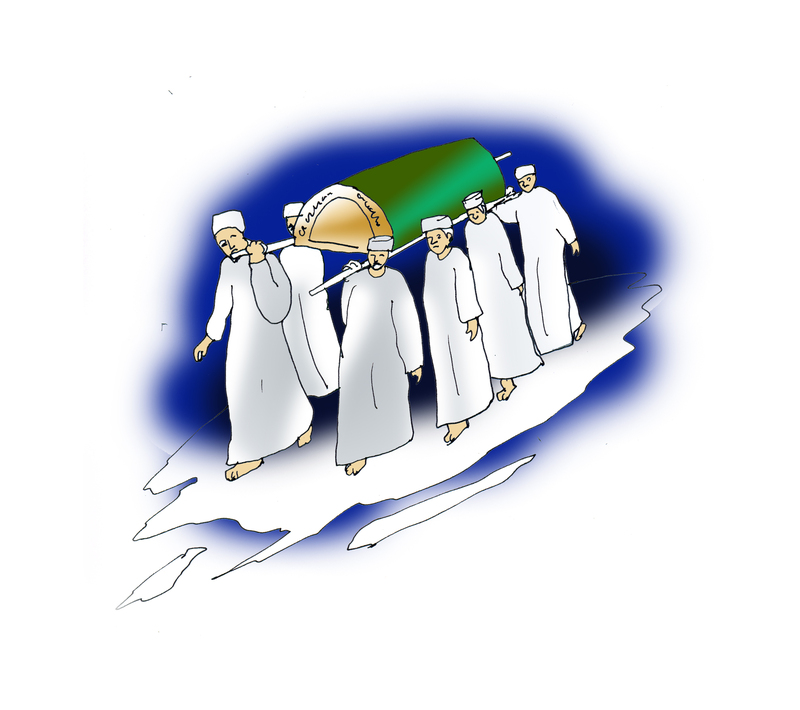 In an interview with a local newspaper last week – titled Collecting funds for funeral costs un-Islamic’ – Oman’s Assistant Grand Mufti Dr Kahlan bin Nabhan al Kharousi – image below – has said that collecting funds to cover funeral costs should be avoided. He also said that providing meals to mourners was against the teachings of Islam. Some families collect funds on a monthly basis to cover funeral expenses. Dr Kharousi said there is a need for people to understand the importance of avoiding extravagance during mourning. Collecting funds to cover funeral expenses is considered Makrooh (an offensive act). Having to organise meals at funeral is unwanted. It burdens those who have to be condoled. He said it is improper for people going to give their condolences to expect meals at the venue. People should also avoid visiting the family during meal times. That too is Makrooh. There no reward from Allah for this – he said. Dr Kharousi said that some people pay for funeral expenses from the deceased’s inheritance. In such cases, the funeral costs are deducted from the inheritors’ share. This practice is wrong because what a deceased has left behind belongs to his legal inheritors. This should be avoided even if the deceased has requested it in his will. In such cases the will is considered invalid – the Deputy Mufti said. Image – The Funeral Pyre! I have written on this same topic from May 2003 – and 10 years later writing on the very same topics! Nothing much seems to have changed – after all the talks, meetings and lectures – after great shows offs – things just remain the same – and if not inadvertently even worse off than ever before. The topics I had written were respectively titled – Is this a funeral gathering? – Expensive Even To Die! – Even In Death? My poor good sister was saying to me – we will get chance for by tomorrow to get some money to take with us – we cannot go with ’empty hands’ as it is! Frankly – for me it would be better to arrive immediately with ’empty hands’ – than to wait some time to come with something! Actually, another thing that we should also really talk about is this quick hurried burials – where even if the children of the deceased are away 4 to 5 hours wait period are simply not entertained! This needs to change too! These are the kind of things that Allah God is not pleased with us! And if you speak out – you get labelled with all kinds of brand names, colourings and labels – and your birth place, origins and ethnicity can just add ‘fuel to the fire’ – if you are not careful here! May Allah God direct us to the right ways and paths – and away from his anger and fury – Amin Amen! P.S. Sorry for a morbid topic today!